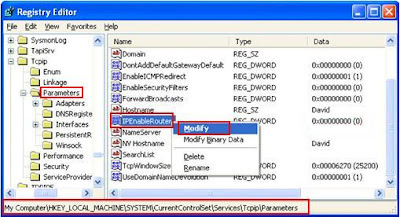 IP Forwarding is a very good feature in Windows XP using which a XP machine can be made to act like a router. So, next time you set up home network do consider this. So how to do it? 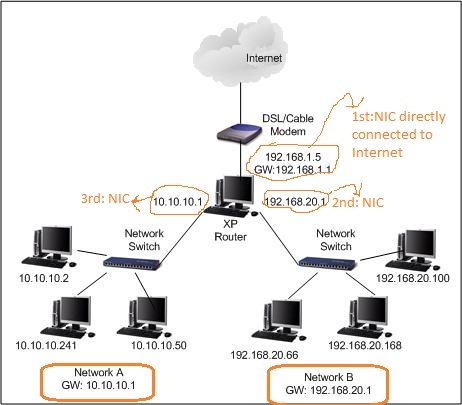 1st: NIC that directly connect to internet. 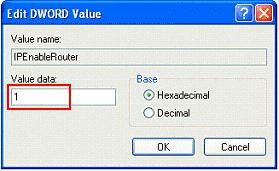 In the value data field enter 1. Its done click OK. This information will be based on the Internet connection service which you have subscribed. 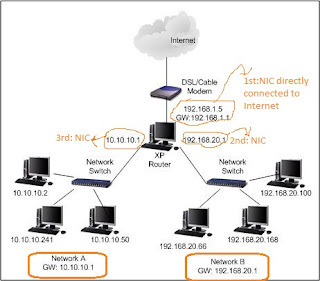 Configure all the computers in network A with following information. 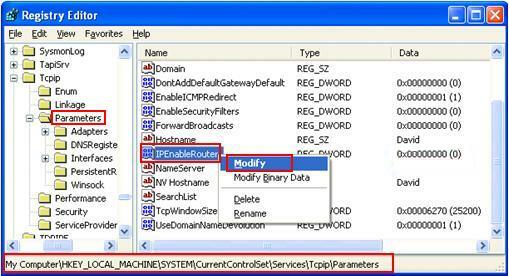 Configure all the computers in network B with following information.